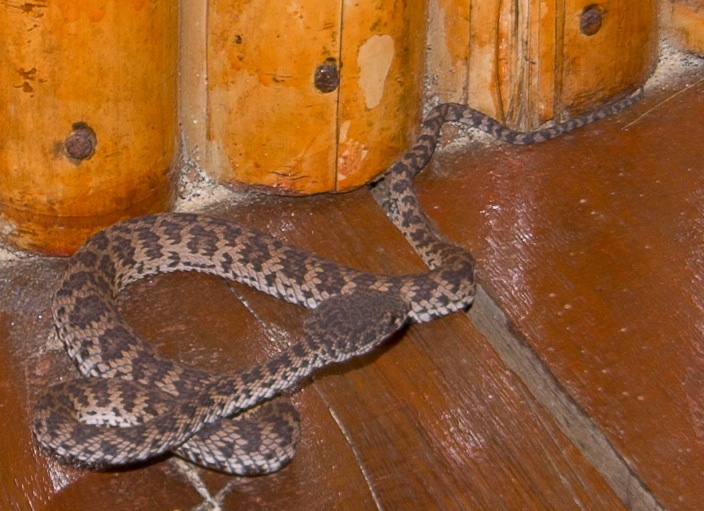 This photo comes from a reader that was writing postcards in her bungalow on the island of Koh Phi Phi, in Thailand’s Krabi province when she noticed a Mangrove Pit Viper (Cryptelytrops purpureomaculatus) near her foot! This is not the snake you want near your foot, as they are heat-sensing, and some are known to be strike-happy. Luckily she was able to move away in time. This snake is so beautiful. They come in yellow, brown, purple, and black colorations. Awesome to get a photo of this one. Thanks Céline Borel! Photo 2013 Copyright, Céline Borel.